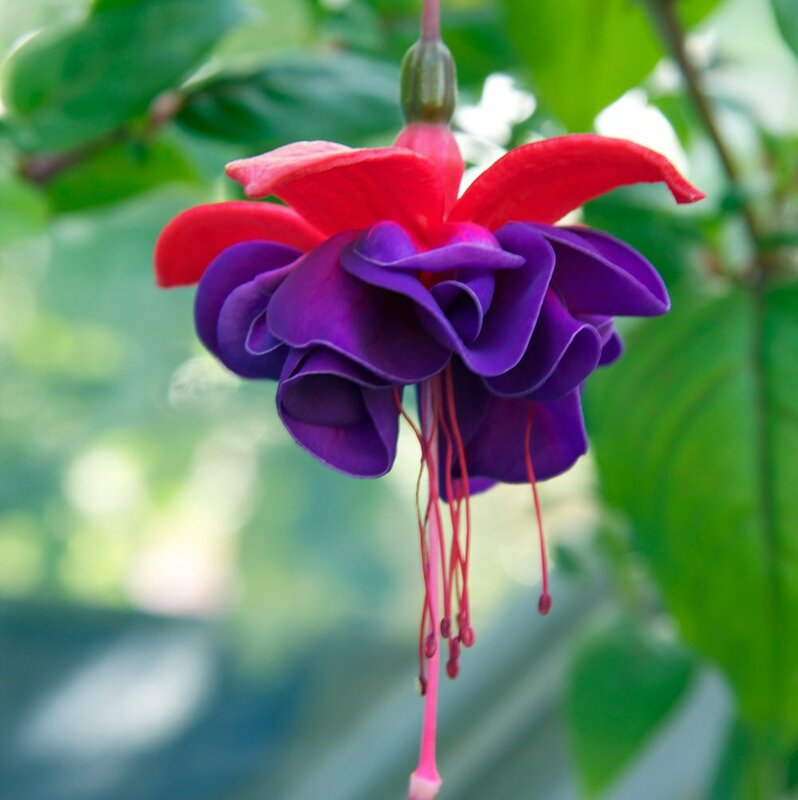 Produces stunning, double flower with colorful hot pink to brilliant red sepals and large, bright, royal purple blossoms with numerous, dainty, pink stamens. Its a trailing variety. All our 'Dark Eyes' Fuschia Plants are grown and shipped in fine quality growing medium. They are guaranteed to arrive alive and ready to plant. Comment: Order plants and shipped out on time and plants come in very healthy. Great customer service. Comment: Fuchsia came well packed and looked great. Nice size and plenty of foliage. Comment: When i placed my order my plants were set to ship on a certain date. Due to bad weather they were back ordered a few more weeks. I was contacted by GrowJoy and kept informed on the new exact date they would be shipped. They promptly answered any questions I had. My plants arrived on time and in perfect condition. I can't wait for them to grow and bloom! I am 100% satisfied and will definitely be ordering again!! Comment: The plants arrived in excellent condition and after transplanting they are doing very well. Looking forward to them growing up quickly and bearing blooms. I purchased 8 plants and they are all surviving very well! Comment: Plant arrived well packed and in good condition, as always. Can't wait to see it bloom! Comment: I love my plant and am glad it arrived quickly. It is thriving in my front yard. I can't wait until it blooms.